Your wedding ring is the most enduring symbol of your marriage, and the only memento of your wedding that will last for years. Therefore, it is a lifetime investment and the most symbolic purchase you will make for your wedding. Take the time to carefully plan for your wedding ring before going shopping. We’ve put together a ring buying guide to help you choose the right bands that you can live with for the years to come. 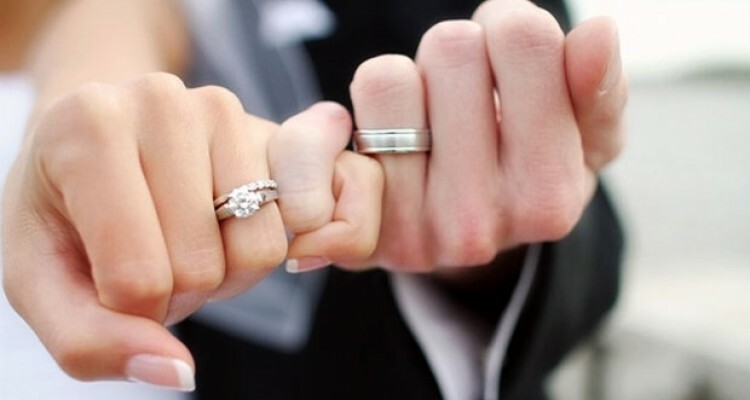 Your wedding bands could be the only piece of jewellery you will shop for as a couple and wear every day for the rest of your lives, so it would be ideal to make preliminary decisions before hitting the stores. Do you want the ring metals in silver or gold? Do you prefer a simple style or an over-the-top design? Would like the bands to be in pure metal or have gemstones or diamonds in it? Do you want the rings to match or you’re okay with unique bands? Decide on these matters beforehand, so you both know what you’re looking for when you start shopping. When you already have an idea in mind of what your wedding ring would look like, it’s time to proceed to the fun part: window shopping and trying on some rings. Give yourself at least two months before the wedding date to shop. You will need enough time to visit every jewellery stores in Singapore city, research for prices and re-visit shops with eye-catching pieces. If you aim for custom-made bands, you will need extra time. Remember, extras like engraving could take up to one month to get done. Perhaps, you love the look of an eternity ring or braided style band, but when you get to the store, try some rings that you find attractive even if they are not in your choices. Talk to the jeweller who makes customised wedding bands in Singapore and listen to their suggestions based on what you like on a ring. Just like shopping for wedding dresses, you may find something you never thought you’d love. If you want a surprise proposal, this step may not be for you. However, shopping for engagement ring and wedding bands at once will ensure that your wedding ring will go well with the proposal ring. If you want to wear your engagement ring and wedding band together, look for a contour band that’s designed to interlock with its matching ring. On the other hand, if you prefer wearing the wedding band alone, it’s ideal to go for a more intricate design. Discuss with your jeweller about finding or creating a band that works with your engagement ring. What’s the point of buying a wedding band if you can’t wear it most of time or if you have to take it off more often (and increase the possibility of losing it)? Since wedding rings are intended to be worn every day, the goal is to choose a design that seamlessly goes well with your day-to-day activities. If you have an active lifestyle, go to the gym regularly or play sports most days of the week, go for a platinum ring in ‘comfort fit’—rounded edge with less thick metal—and avoid carving and intricate gemstones as dirt easily accumulates in the spaces. Although you should not be afraid to go trendy, make sure that the ring style you pick is something you would want to wear for the next 30, 40, or 50 years. Your wedding ring is intended to last through all the events and fashion trends that will come and go through the years, so pick a style that you see yourself wearing for the rest of your life. But you don’t have to stress yourself too much; you can always make some alterations or upgrade in the future to mark a special anniversary. Many people rarely remove their wedding rings—they wear them to work, to bed, when taking a shower, at the gym, swimming at the beach, during pregnancies, vacations—all the time when fingers swell and shrink due to heat and cold or weight gain and weight loss. To find the perfect size that will fit your ring finger just right regardless of the body changes that might take place, schedule the ring fitting at the time when your body temperature is normal. This means you should not decide on the ring size in the morning (when the body retains salt from the night before), right after hitting t he gym (fingers are quite swollen due to body heat) or during extremely hot or cold weather (which causes expansion and contraction of the fingers). This applies not just for wedding bands, but for all rings and jewelleries. For the rings, see the two marks inside the band—the trademark (which proves that the manufacturer stands by their product) and the quality mark (which proves that the quality of the metal is what the seller claims it to be). 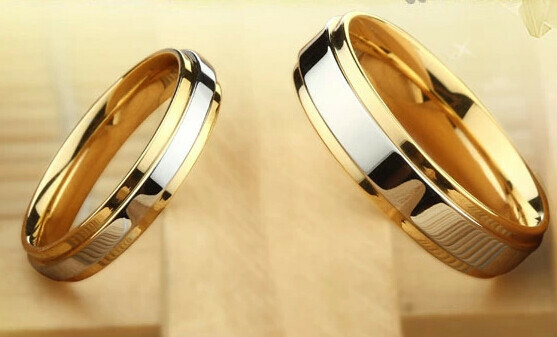 If your wedding band is made of two or more metals, check that each metal indicates its quality marks. Legitimate jewellery retailers in Singapore should always have this detail engraved in their jewelleries. No matter what design of wedding rings you go for, finding a pair that pleases you both is the most important thing in this process. Your wedding is a once-in-a-lifetime event and a day you would want to always remember forever. Find the perfect pair of wedding bands and you will have a forever reminder of the love and commitment you have for each other.